Late Sunday morning Draadkameel and I decided to ride out a bit. 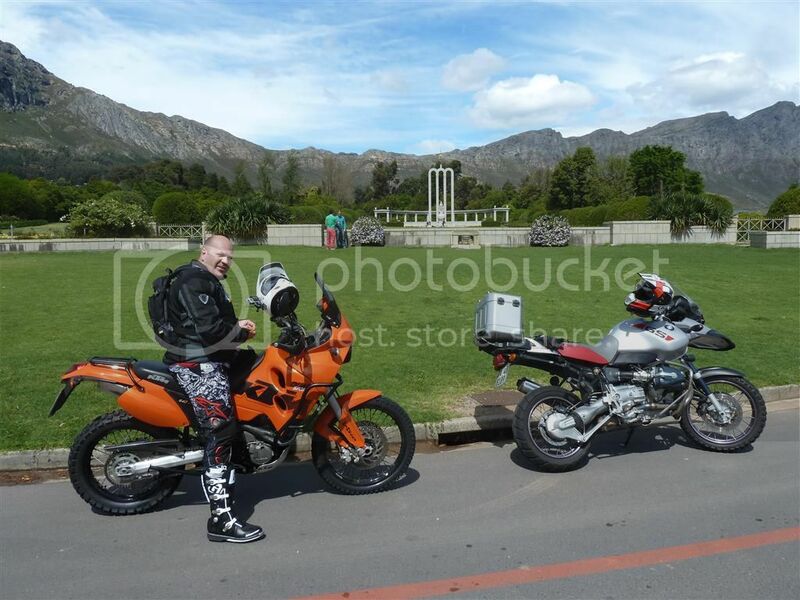 It was his first proper outride on his newly acquired KTM640. 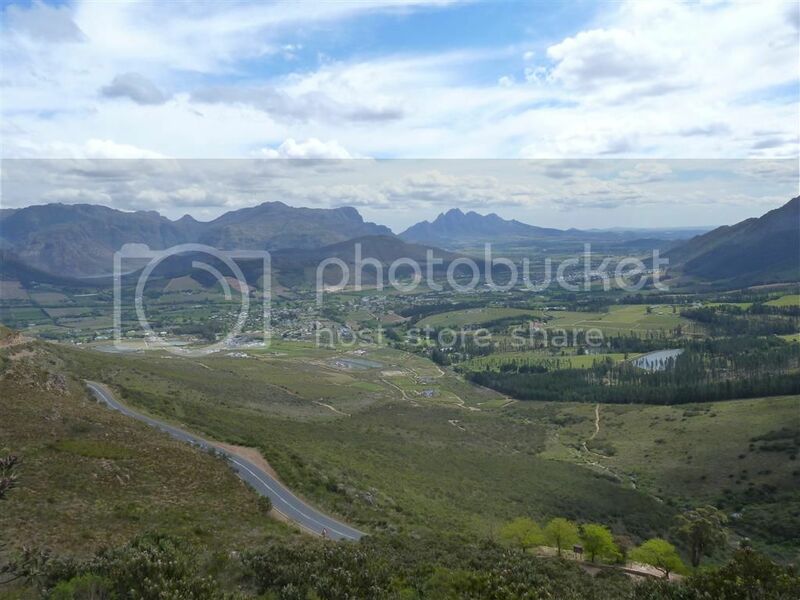 Our route plan: Hout Bay, Durbanville, Stellenbosch, Helshoogte, Franschoek, Theewaterskloof, Botrivier, Old Houw Hoek pass, The Valley Rd, Kleinmond, Betty's Bay, Gordon's Bay and back home. 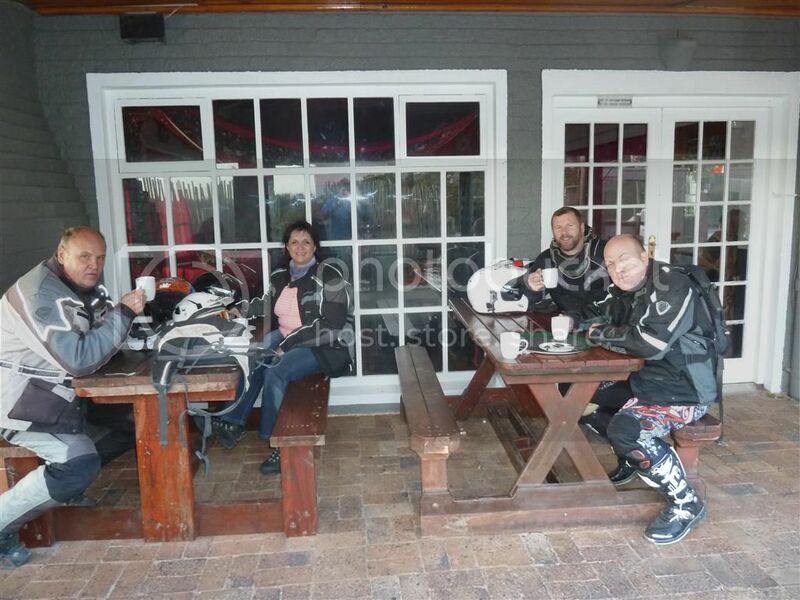 Draadkameel's first time ever in Franschoek...no we did not stop for pancakes! 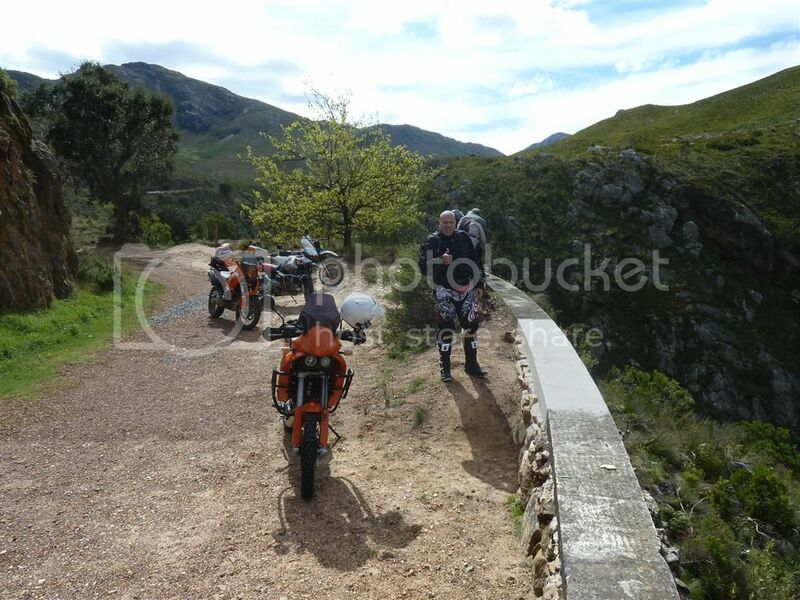 At the start of the Franschoek pass there were some roadworks where we had to wait a couple of minutes. Small world and Martin-DR650 pulls up behind us. 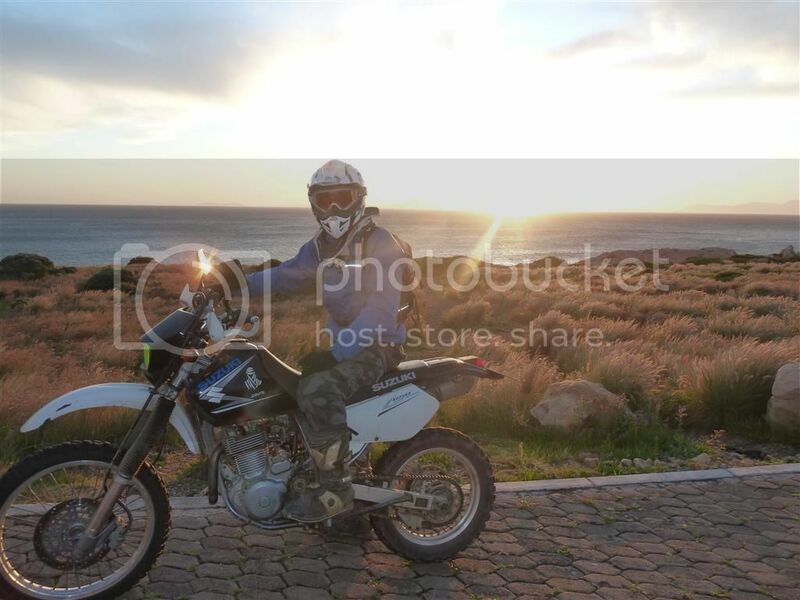 I never met him before, but it turns out his dad bought my DR650 for his brother. 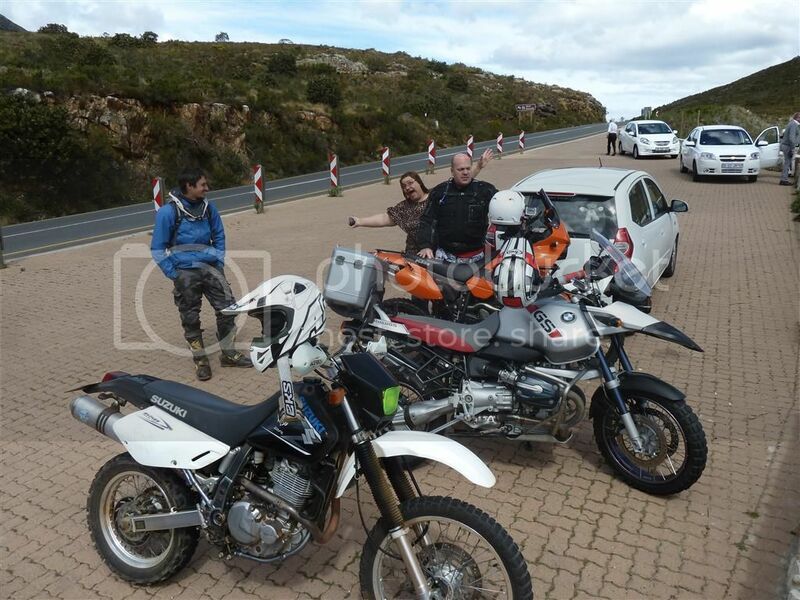 It wasn't long before his father (also Martin) and mother (Agnes) arrived on the 990. We had a photobomber but I forgot her name. Also a biker but not riding anymore due to an accident apparently. We made another stop on the way down. 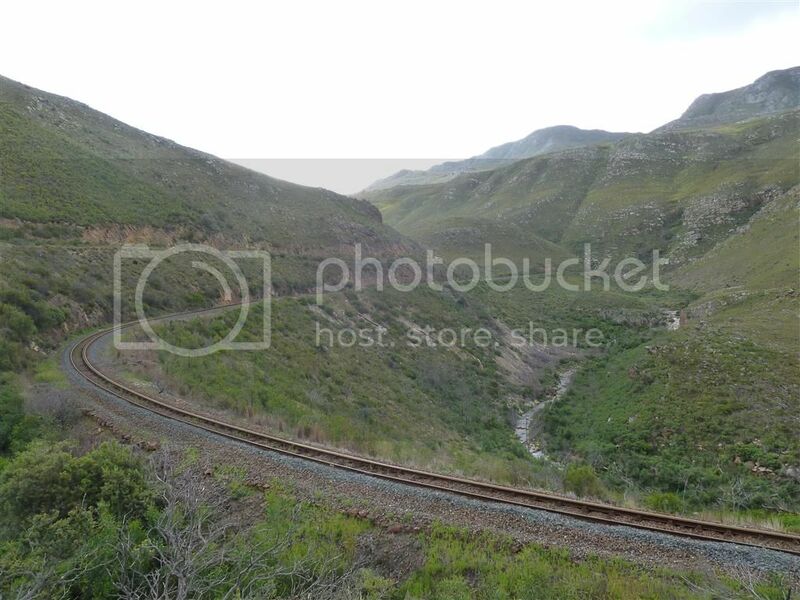 From there it was onwards to Theewaterskloof and left on the gravel towards Botrivier. There were quite a few drunk locals walking next to the road or suspiciously parked next to the road at intersections. We had no issues, but I thought it vigilant to stop regularly and check all OK. This "Closed" sign looked promising, but then an Isuzu bakkie with CF registration came from the front which was a sign that the road can't be too bad. It turns out that there were no issues on it and the surface was good. julle twee is gistermiddag verby my reg voor Makro Cape Gate se ingang. 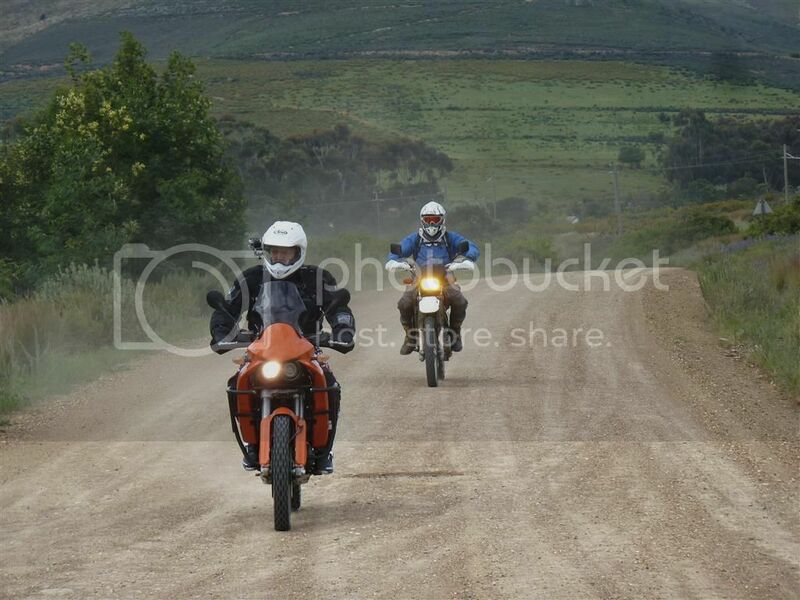 Draadkameel & Martin-DR650 arriving at the same turnoff. 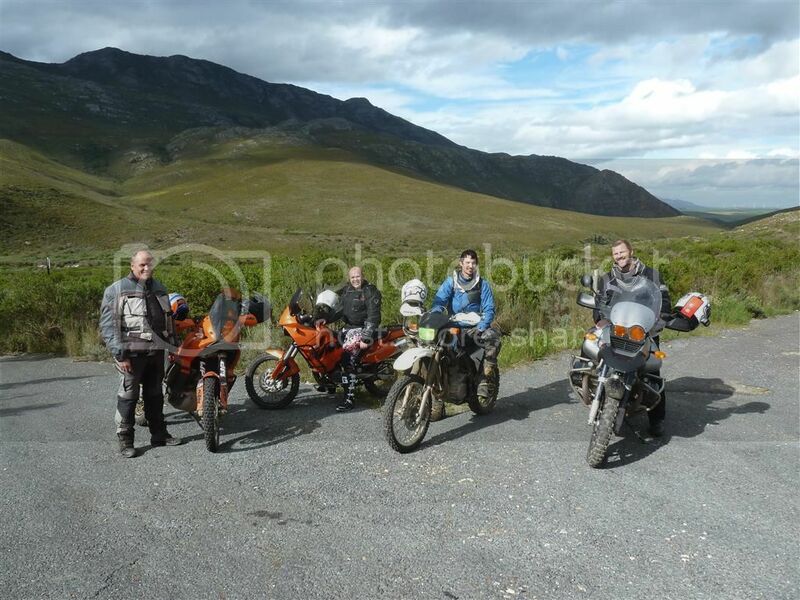 We arrived at Botrivier and Martin-DR650 refuelled. A quick samoosa for late lunch and off we went. 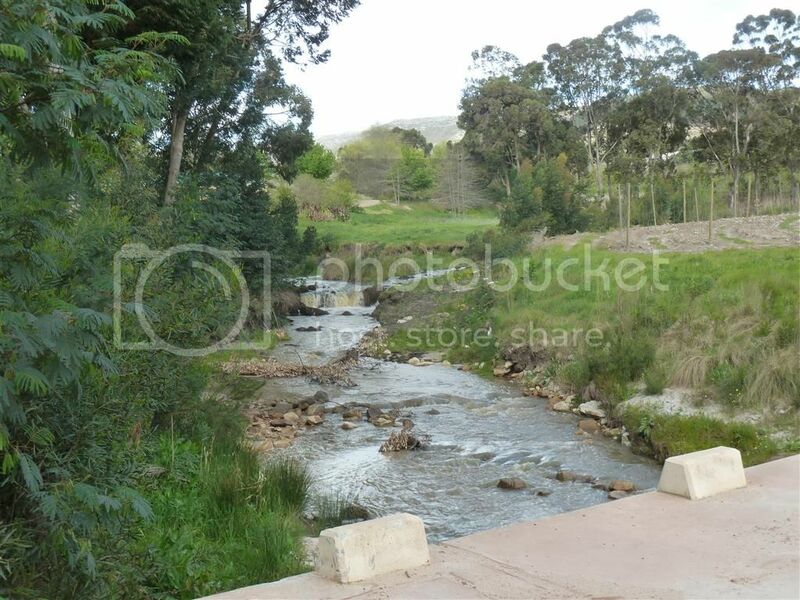 I have never bothered to stop at Botrivier, but it seems there is at least one restaurant that caters for tourists. 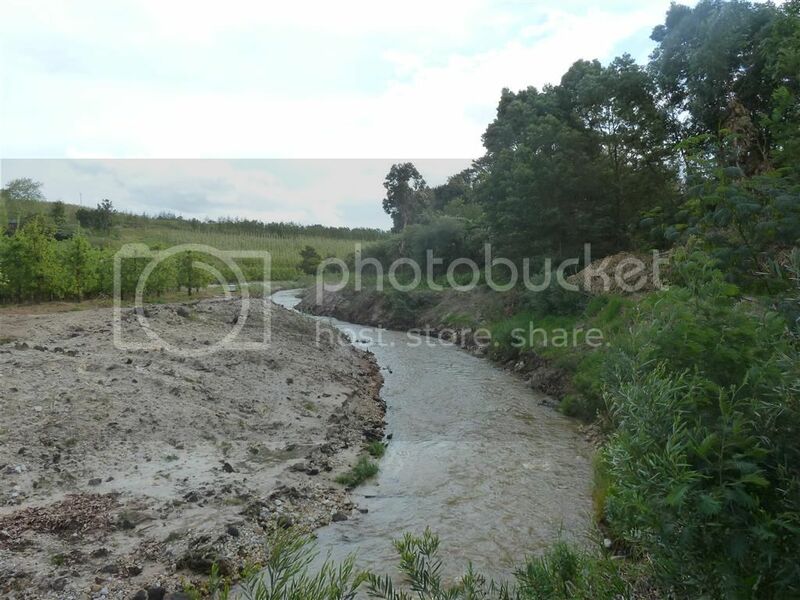 I am proud to say that I now also have a friend who owns a piece of land near Botrivier...lekker Draadkameel! Those crash bars paid for themselves on the first trip! Sorry no pics, the incline made it too difficult to hold on to the bike and get the camera out! 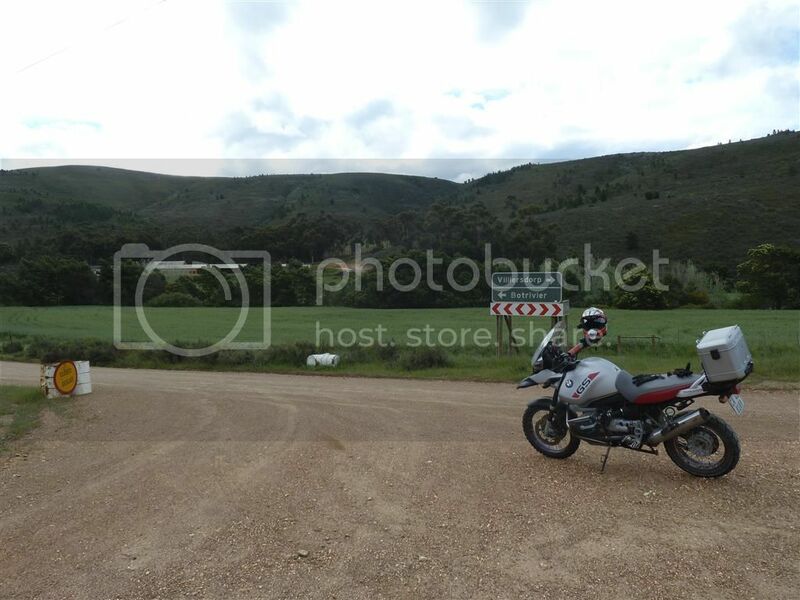 We proceeded to The Valley Road and despite it getting a bit late we all decided to turn off the N2 for this detour. 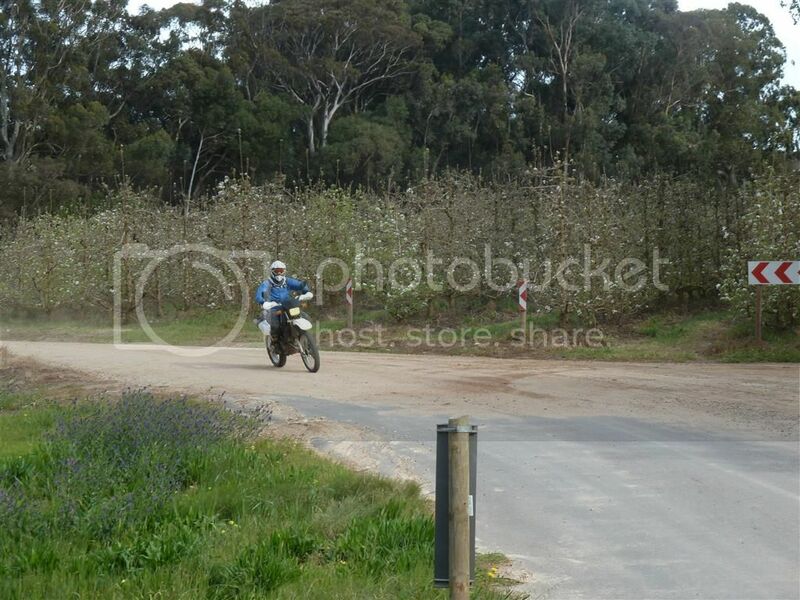 Martin was enjoying the gravel twisties and I was just too slow with the camera to catch him doing a lekker drift. 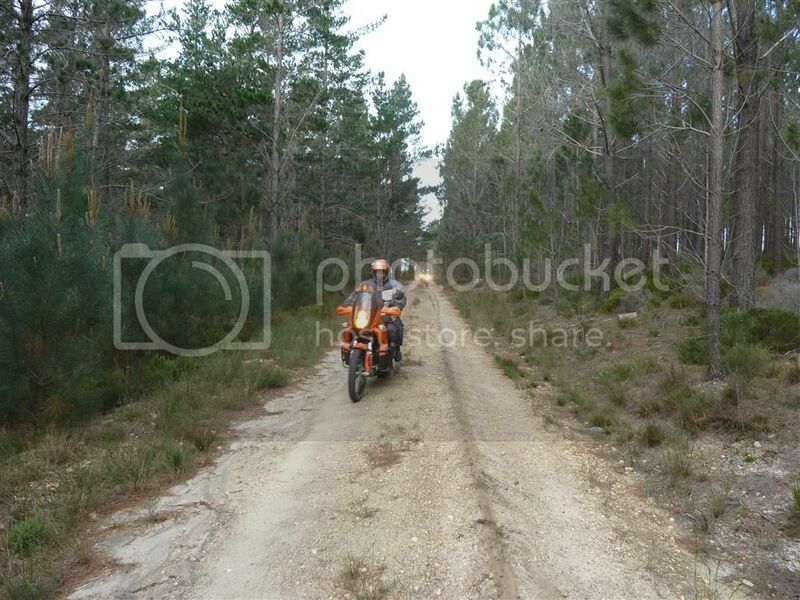 At some point I suggested turning off the main gravel road and going on the forestry roads. It was getting cloudy and a bit chilly. At some point we arrived at a dead end and I had to do a u-turn in the sand. The pig was obviously a bit tired and took a quick snooze. No harm done and I was quickly on my way again. The descent into the valley was scenic and the surface was rough and slippery. 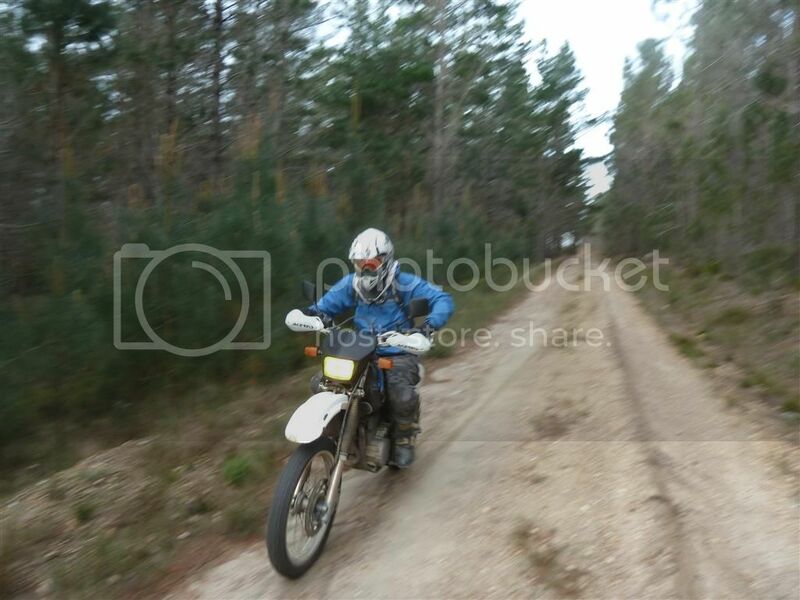 We all arrived at the exit with a smile and a few whoops! We regrouped at the Highlands turnoff and had a chocolate bar for some energy. 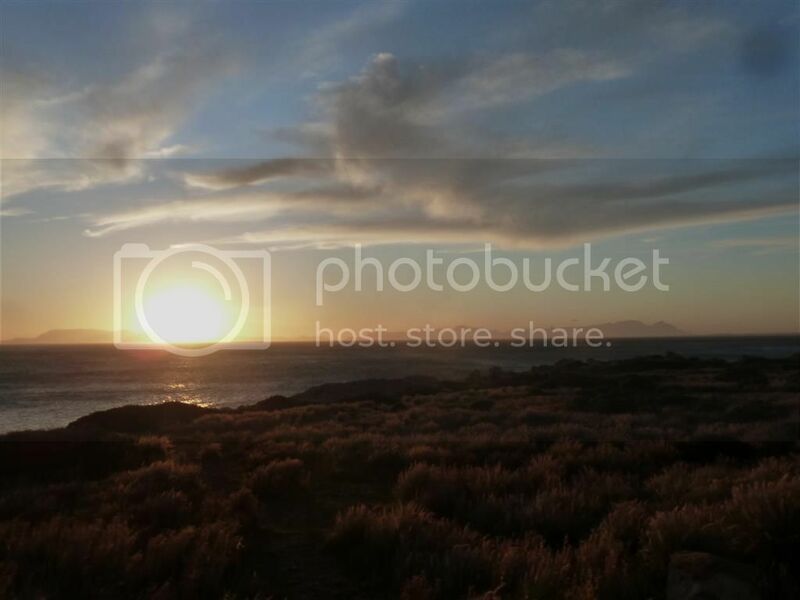 We had the sun in our eyes as we went to Kleinmond and Betty's Bay. It really was a beautiful evening with some clouds giving the sky a bit of a 3-D effect. We stopped at Rooiels for hot chocolate. 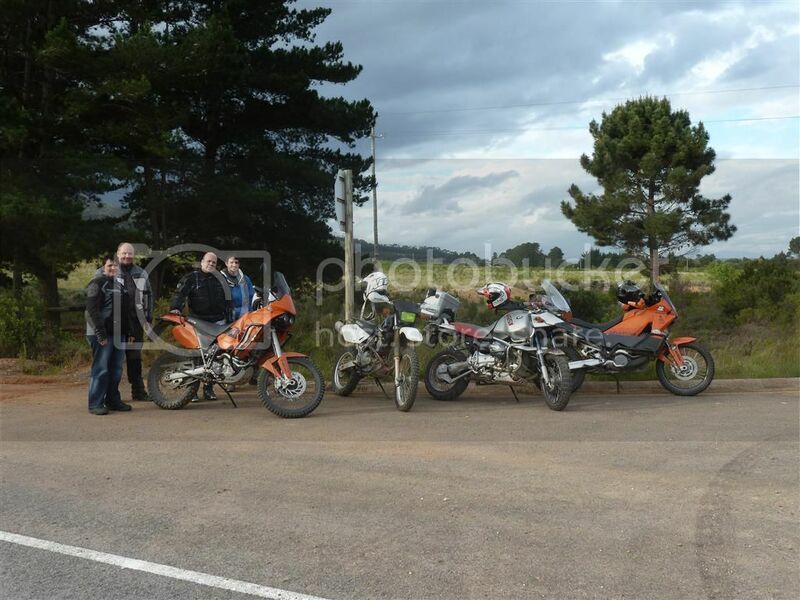 This is also where we realised that the KTM640's lights are acting up. I had spare bulbs and fuses with me, but that was not the problem. Draadkameel had to proceed with only his brake light working. The dark was gonna catch us, so we needed to get going. In the mean time I received a WhatsApp from my wife. She was at hospital with my younger son. He managed to get his head cut with a spade. 4 stitches later and he was all good! I had to bring home some Bubbly chocolate since he was so brave at the hospital. This was the third Sunday this year at hospital with one of my boys. I should be a Platinum member soon! Last pics with the sun setting. 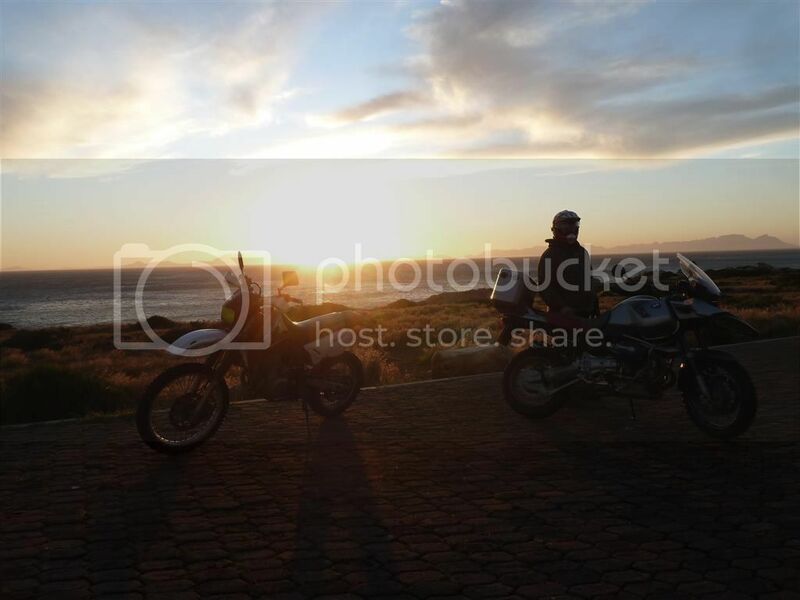 Thanx to everyone for a lekker day out. I thoroughly enjoyed it and look forward to your contributions also! 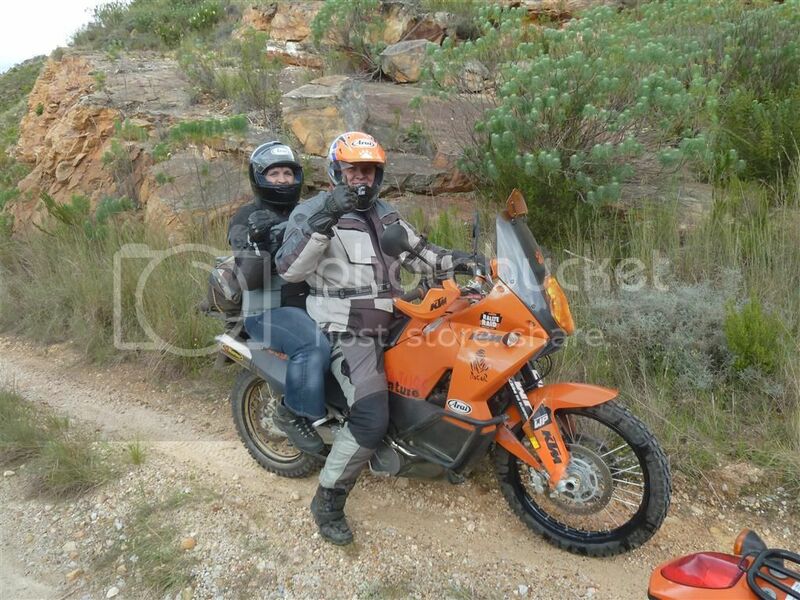 Ons moet nog 'n pillion ride organise met ons vrouens! Anyone got that as a saved GPS route? Maybe a basecamp/Tyre/Google earth kmz? The degree of ones' emotions are inversely proportional to ones' knowledge of the facts. The less you know, the hotter you get. Dis reg so, dankie. My kwagga gaan hierdie week in vir diens. Eks in Durbanville, watter kant toe woon julle? Will also appreciate some kind of geo location for this. I've heard so much about the old Houwhoek Pass and the Valley Road, but can't seem to place it. Here's a few from my side... will get the old man to post more.